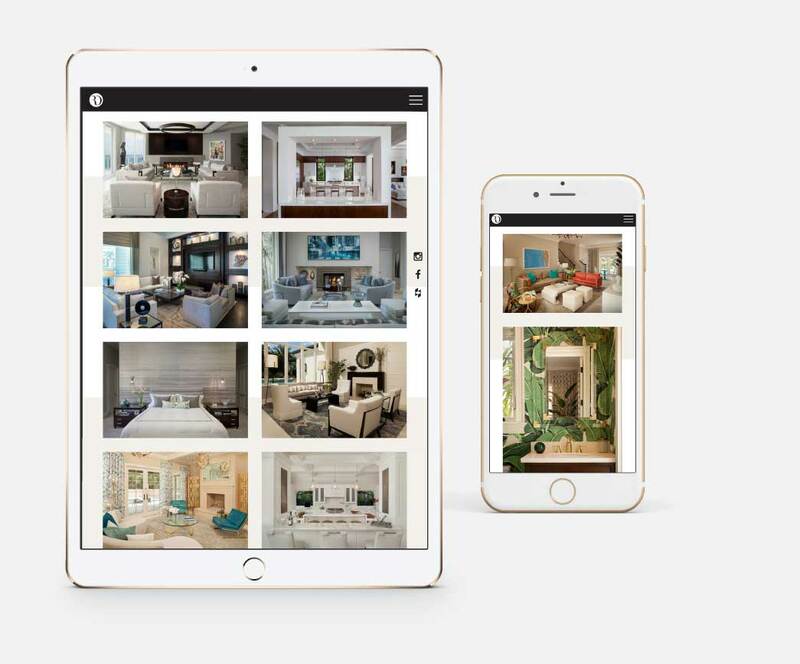 Rogers Design Group - Bella Group Inc.
35-year old interior design firm, Rogers Design Group, engaged Bella Group for brand messaging, web design and development, and tagline crafting. Commencing with our Four Pillars exercise, which yielded the term “atmospheric design,” the site began as a narrative extolling Rogers’ fusion of creativity, innovation, integrity and process. 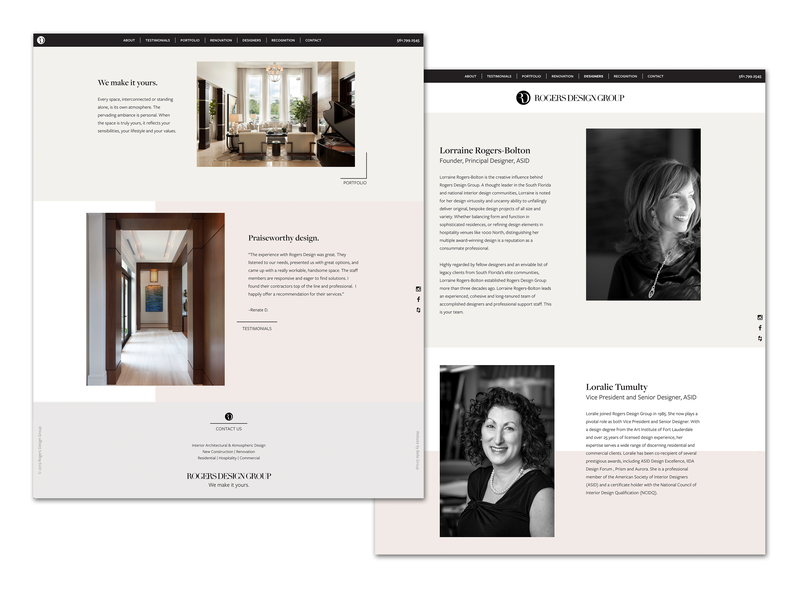 Clean, rich web design created the appropriate showplace for Rogers’ original and unique design projects, and the philosophy that fuels them. 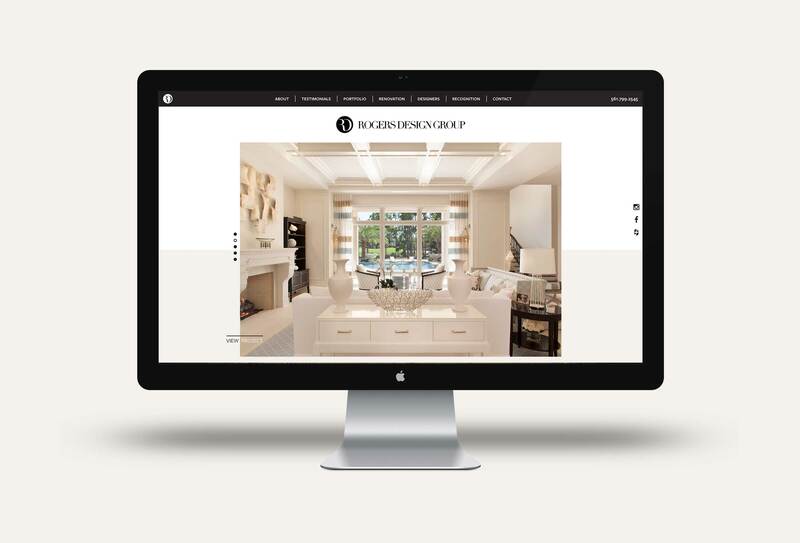 Beyond the functional, contemporary website is the “new” way Rogers Design Group now thinks of itself.